Strong research output requires more than big investments. Saudi Arabia has poured billions into new universities, particularly with the 2009 opening of King Abdullah University of Science and Technology (KAUST), which is believed to have a US$15 billion endowment, and has attracted top talent for research. From 2012 KAUST has increased its article output in the Nature Index by 40%. Given its more moderate increase in WFC over the same time period, it seems that KAUST researchers are actively contributing more to collaborative papers than working in isolation. Performance in the Nature Index is also greatly dependent on collaboration — and this is where the Arab states are doing well. Saudi Arabia reaches out extensively to other countries for scientific collaboration, with 79% of its output being the result of international collaborations. Israel and Turkey collaborated internationally on 46% and 59% of their papers, respectively, showing that scientists in Saudi Arabia collaborate much more than their colleagues in neighbouring countries. This high collaboration rate, however, may be due in part to the practice at some universities — although not KAUST, which opposes such an approach — of bringing in foreign researchers for a short amount of time to add a local affiliation to papers. The Nature Index is a unique database that tracks affiliations in research publications in a select group of scientific journals. The Index can provide an indicator of high-quality research contributions from institutions, countries, regions and disciplines. In this Global Nature Index supplement, we present a snapshot of the Index for the calendar year 2014. We have grouped countries into nine regions. The strongest performances come, not surprisingly, from North America, North & West Europe, and East & Southeast Asia. In fact, these three regions accounted for 91% of the Index's weighted fractional count (WFC), a metric that apportions credit for each article according to the affiliations of the contributing authors. For the first time, a system in the Middle East earned a Top 10 spot on the Top500.org list of most powerful supercomputers. Shaheen II, located at King Abdullah University of Science and Technology (KAUST), in Saudi Arabia, placed 7th in the the semi-annual competition, the results of which were announced earlier today. 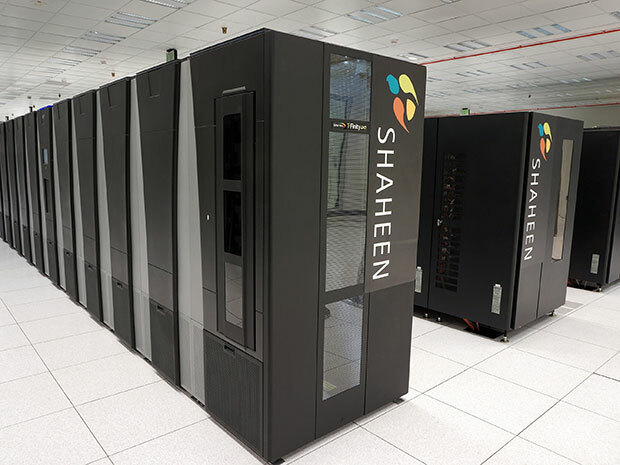 Shaheen II is a Cray XC40 system that cranked out 5.536 petaflops per second on the Linpack benchmark. 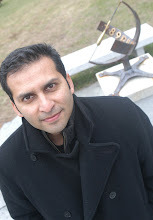 Shaheen II replaced the Shaheen I in April 2015. The 16-rack IBM Blue Gene/P supercomputer system and has 6,100 sets of 32 processor cores. At KAUST, 25 percent on the university’s faculty, students and researchers rely on Shaheen II, the university said in a press release. The system is used for and small- and large-scale scientific research, including global climate projects and visualizations of the brain and DNA. At the top of the list, China and U.S. battled it out for the number one position. But, Tianhe-2 did it again. The supercomputer developed by the National University of Defense Technology in Guangzhou, China, held its number one title for the fifth consecutive time. No other supercomputer was able to beat Tianhe-2’s max calculation capacity of 33.86 petaflops per second. The top supercomputer in the United States, Oak Ridge National Laboratory’s Titan, remained at its number two spot achieving 17.59 petaflops per second. "Made in China" is now getting a new meaning! Read the full article here (you will need subscription for the full article).